Before you buy MiGiC you can download it for free here. Without any license it still gives you all the cool features and works great with both Mac and Windows. However, MiGiC will only work for three minutes at a time. After these three minutes you will be interrupted for a short while. If you want to be able to use MiGiC without these interruptions, buy your license here. Please fill out your information and a download URL will be sent to you by email. 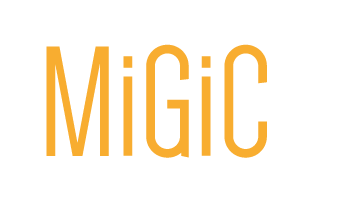 (Optional), How did you hear about MiGiC? Note: The URL is only vaild for 10 minutes afters it has been requested. There are two ways to install MiGiC Evo for Windows. instructions provided by the installer. 2. Manually place the standalone and the plugins on your disk. "More info" and the click "Run anyway". It's safe! all your plugins (which may take a few restarts). - IMPORTANT: Make sure you have the correct audio settings! use "Audio device type" "ASIO" and a "Device" that supports ASIO. I cannot stress this enough as this crucial in order to get realtime audio working in Windows! On the same topic, make sure that you use a low "Audio buffer size" such as 32, 64 or 128. - Make sure that the plugins (MiGiC Evo.dll and/or MiGiC Evo64.dll) are placed in your system VST folder. This folder must also be the same folder that your host/DAW/audio software looks for plugins in. Otherwise, your host/DAW/audio software WILL NOT be able to run MiGiC. - The next step is to find MiGiC in your host/DAW/audio software and apply it to an AUDIO track. - After that you need to figure out how your host/DAW/audio software expects the MIDI to be routed. listen to MIDI from the virtual MIDI port. 1. IMPORTANT: Please make sure that you are running a low buffer size such as 32, 64 or 128 for e.g. 44.1khz. the processing can be started. 2. Start with the default preset and make small changes to the parameters. and still get accurate results, however, with higher latency. enjoy the product and that it will provide you with loads of fun and creative sessions! the instructions provided by the installer. and right click (or ctrl-click) on the application, from the menu you need click on "open". This needs to be done in order to open an application that is not acquired from the mac app store. Otherwise, FileVault wont let you open the application. "Audio buffer size" such as 32, 64 or 128 in order to keep the latency low. - You need to find MiGiC in your host/DAW/audio software and apply it to an AUDIO track. set your software instruments to listen to. - The VST plugin also supports outputting MIDI through the audio track. and unfortunately the procedure differs between different hosts/DAWs/audio software.